Can Massage Help Relieve My Springtime Allergies? The stuffy nose. The itchy eyes. The constant scratchy throat. The way your conversations with co-workers have been reduced to caveman-like grunts of allergy definers. Our wildly warm winter, while so lovely to experience while it was happening, has led to a whopper of an allergy season. It triggered earlier-than-normal symptoms, and has caused a greater concentration of allergens in some areas. Dr. Clifford Basset, founder and director at the Allergy and Asthma Care of New York also blames the higher environmental allergy count on climate change. “[Climate change] is causing more carbon dioxide in our environment, which in turn tells a lot of plants to produce more pollen, and the pollen itself is more supercharged and more powerful." 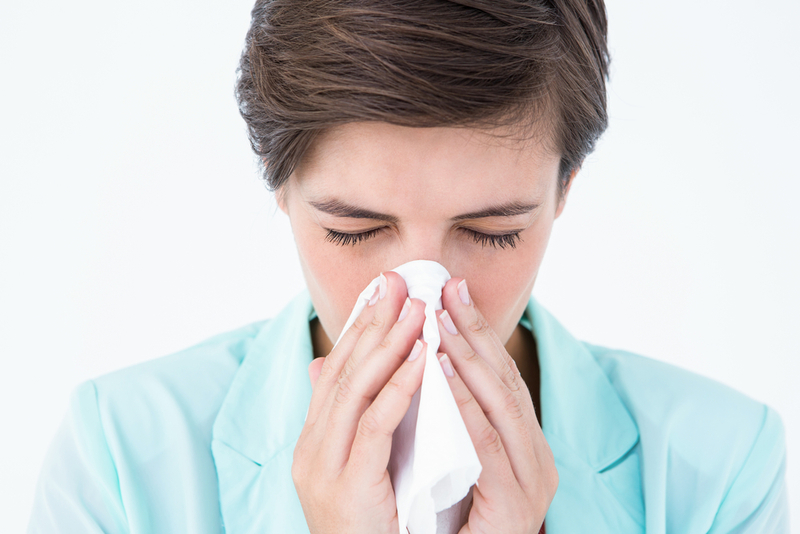 Allergies can manifest themselves in a variety of ways, from a sore throat and congestion, to hives and overall itchiness. They develop when a person’s immune system mistakenly identifies a certain environmental substance as a threat, and reacts accordingly by producing Immunoglobulin E (IgE) antibodies to fight off the perceived offender. This, in turn, tells the body to produce histamines and other chemicals that cause allergy symptoms. While over the counter medication options can provide help, massage can be a valuable, all-natural tool when it comes to allergy relief. Massage helps encourage circulation and lymphatic drainage all throughout the body. Specifically, allergy sufferers might especially find relief with massage work that focuses on lymph nodes in the neck and face. Also, certain facial massage techniques can encourage the drainage and decongestion of sinuses. Did you know that stress can make your already annoying allergies even worse? When you’re stressed, your body releases additional histamines, prompting even greater allergy symptoms. Receiving a massage can lower the stress hormone cortisol, making you feel a lot better, both physically and emotionally. There are even spots in your feet that, when worked on by your massage therapist, can trigger healing in the parts of your body affected by allergies. Through our Integrative Reflexology program, your therapist can use the ancient healing practice of reflexology to encourage allergy relief. For example, an area near the balls of your feet are linked to your lungs, a point near the tip of your big toes are connected to your sinuses, and an area on the undersides of your second and third toes are linked to your eyes. While we can’t promise that full-body massage or Integrative Reflexology will eliminate your need for over the counter allergy medications, we do believe that massage can be an important tool in your “health tool belt.” And if you’re suffering from allergies this season, it’s worth it to explore massage, and see if it can help. Massage may allow you to suffer a little less, or require less frequent medication. At the very least, you’ll walk away feeling more relaxed, having your stress hormone lowered, your muscles lengthened and loosened, with an increased level of circulation, and will likely get a better night’s sleep. Give us a call; we look forward to helping you be the healthiest you can be.